SF Sports Night is a trademark of ShyFoundry. 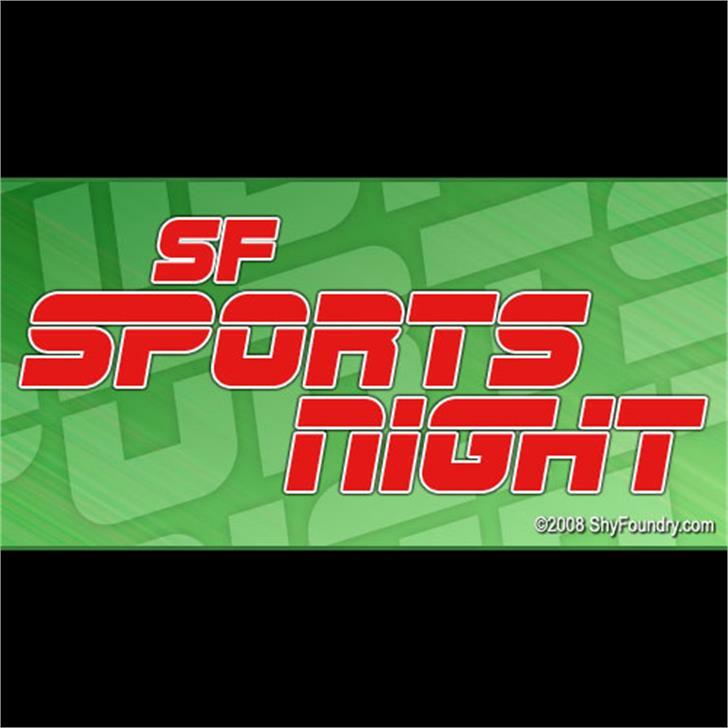 SF Sports Night NS Alternate is a trademark of ShyFoundry. SF Sports Night NS Upright is a trademark of ShyFoundry. SF Sports Night Upright is a trademark of ShyFoundry. SF Sports Night AltUpright is a trademark of ShyFoundry. SF Sports Night NS AltUpright is a trademark of ShyFoundry.